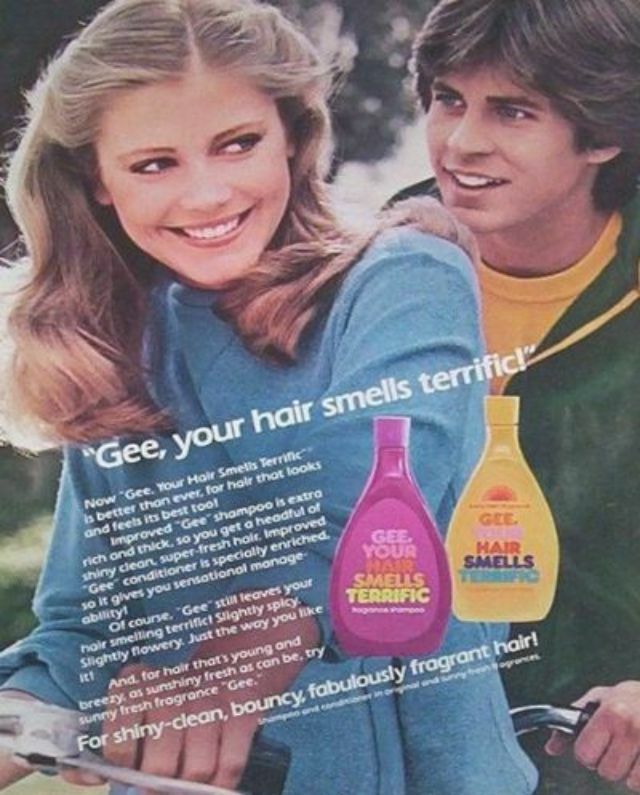 Gee, Your Hair Smells Terrific was a popular shampoo in the 1970s and 1980s. Manufactured by the Andrew Jergens Company, the shampoo had a strong floral scent that softened after rinsing and remained in the user's hair for some time. 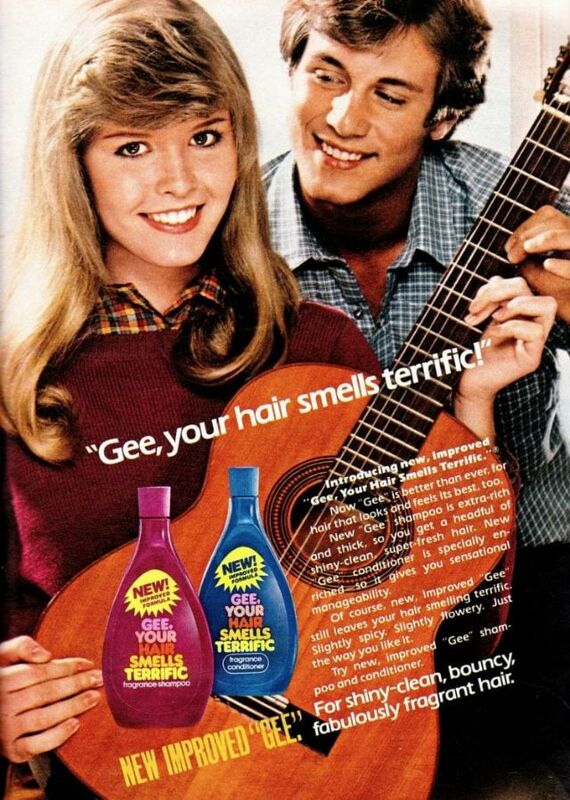 The product's unusually long name was satirized on The Simpsons. 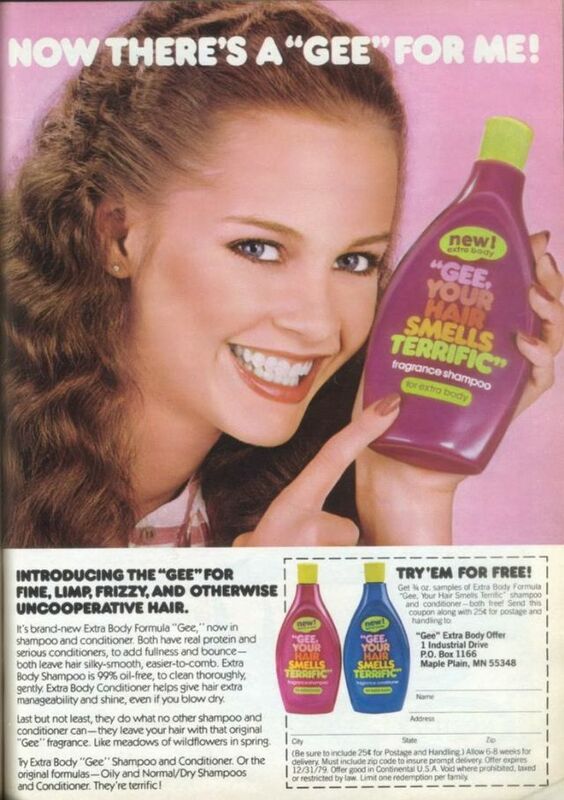 In one episode, Patty Bouvier waxes her upper lip using a product called "Gee, Your Lip Looks Hairless," and in another episode, a sports venue on the show had been named "The Gee Your Hair Smells Terrific Arena." 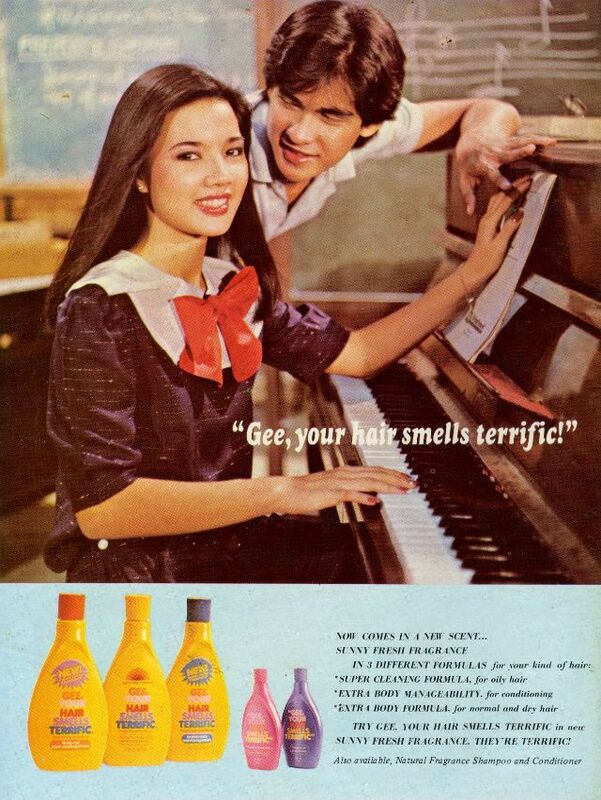 The seemingly innocent ads were probably a lot of fun to see in the 1970s. 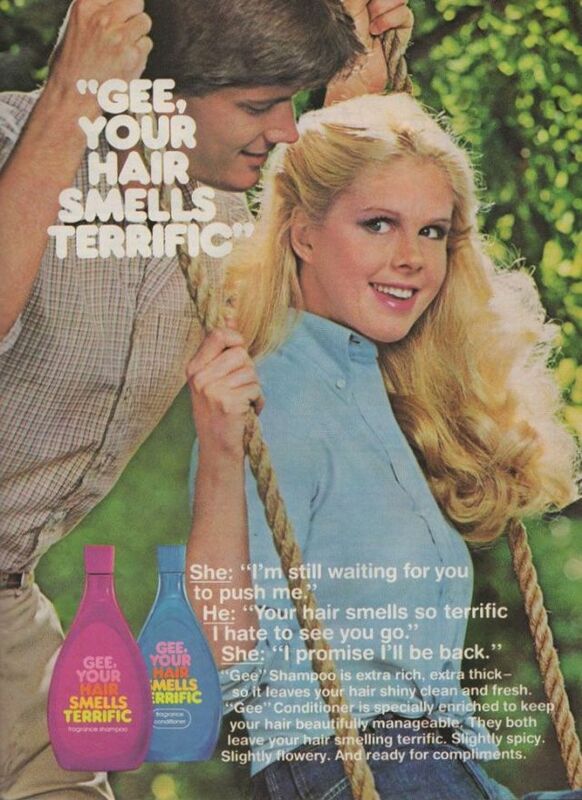 In most cases, various suitors pursued the women featured in the ads because their hair smelled like daisies and sunshine. 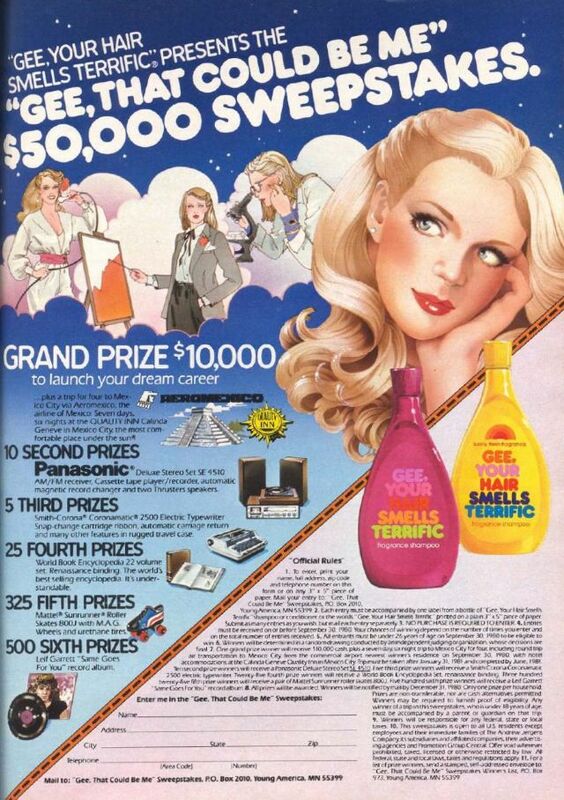 It was every girl's dream. 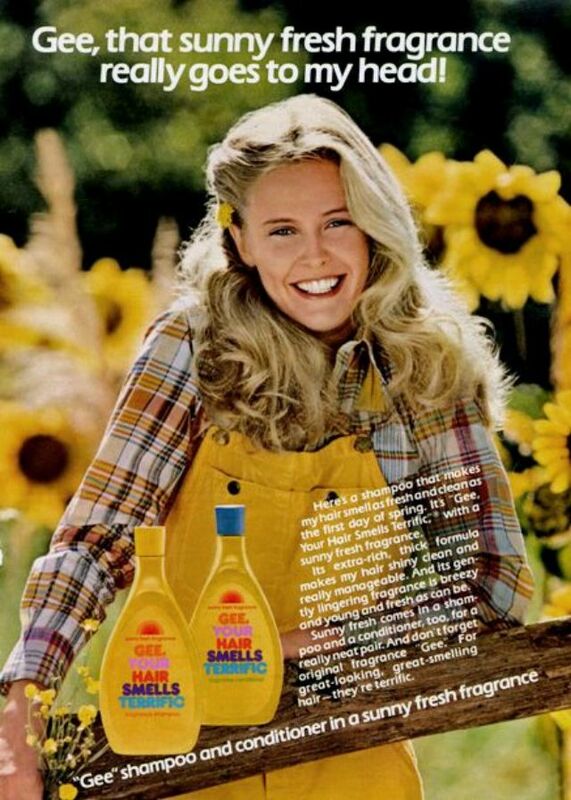 But looking back now, there's one major aspect that's wrong with these ads. 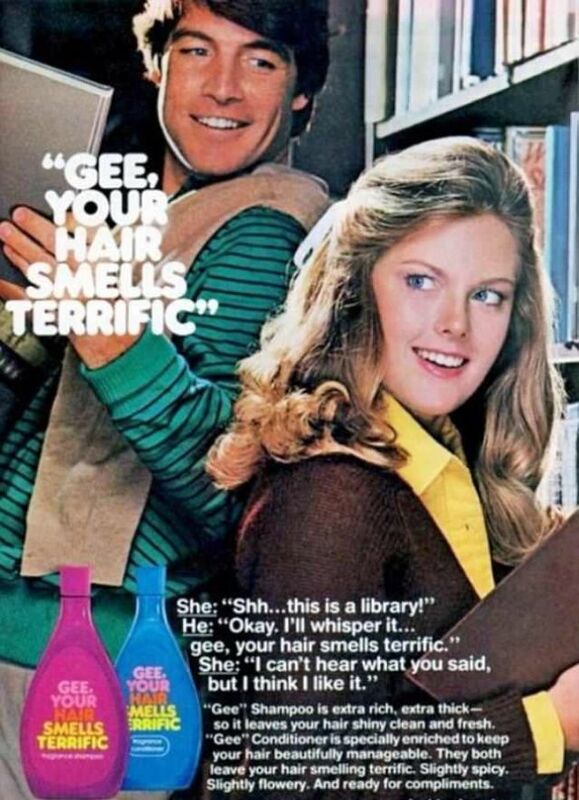 It quickly becomes apparent the men need to back up and stop smelling the hair of random women. 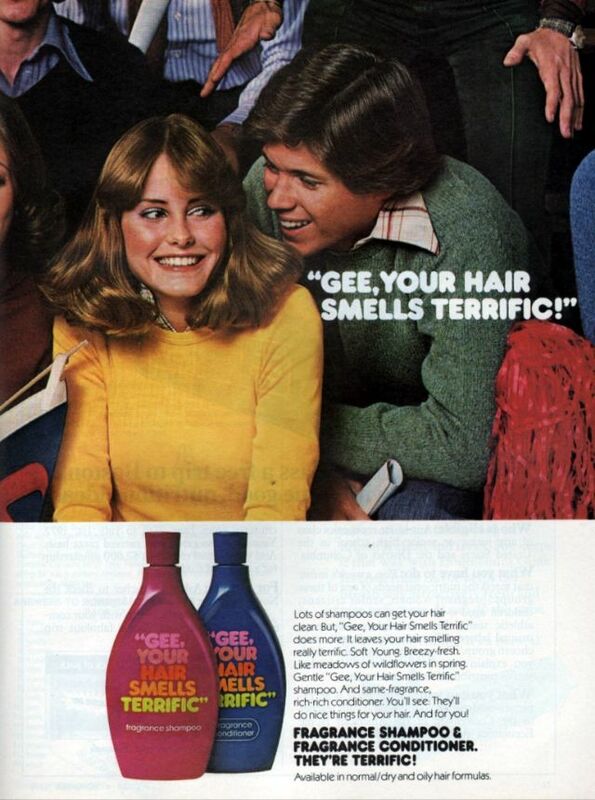 Personal space, people! 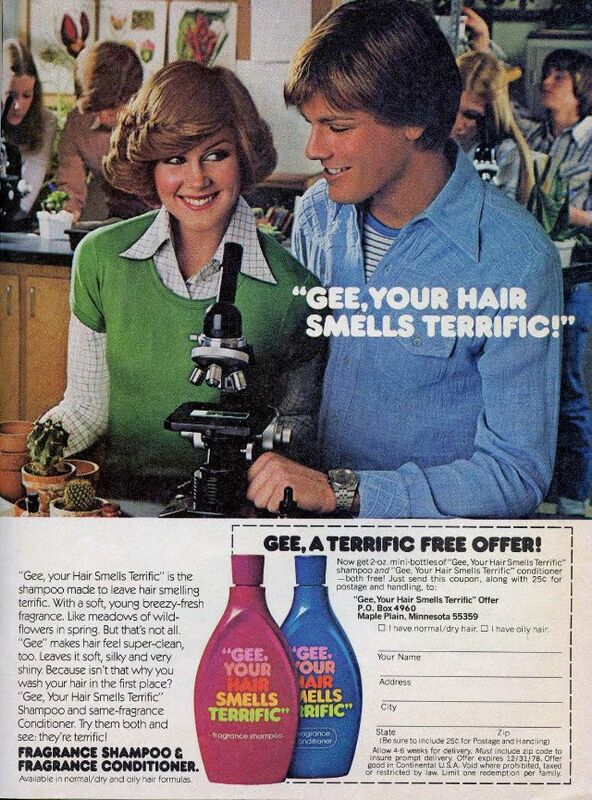 In most of the ads, the women are being productive, whether it's going to the library or participating in science class. 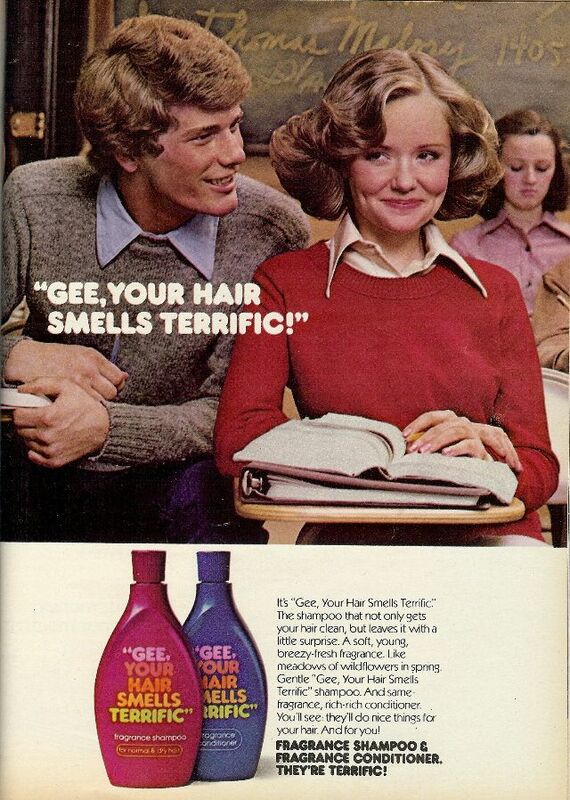 All the while, they have to deal with some random guy coming up and commenting on the scent of their hair. Now that's annoying. 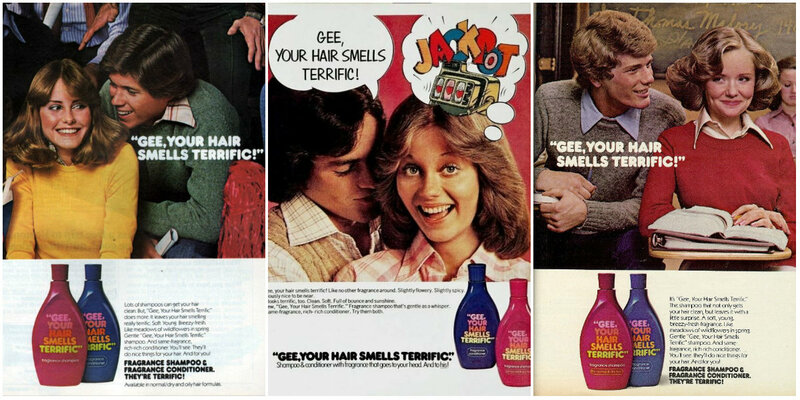 Let's take a look back at some of the best (or worst) Gee, Your Hair Smells Terrific ads from the 1970s.